Deployment: Patrol, Investigations, Administration, Posse, Dive Team, Training Bureau, Search and Rescue, Court /Civil operations, Coroner Operations. Special Programs: Special event security, Off- Road enforcement and many other special assignments. Riverside County was created from portions of San Bernardino and San Diego counties on May 9, 1893. In the early history of the County, the Sheriff’s Office was a one-man operation. Today the Sheriff is responsible for 7,310 square miles, spreading over 200 miles in length, and embracing approximately 50 miles in width. This territory constitutes the fourth largest county in the State of California. Vast changes have occurred in Riverside County since its inception, the population having increased from 13,745 in 1893, to more than 1,380,000 as of January 1, 1997, ranking it seventh in population among California’s counties. The one-man Sheriff’s Office of yesteryear has also seen dramatic growth. Today, the department includes a total of 2,653 personnel. 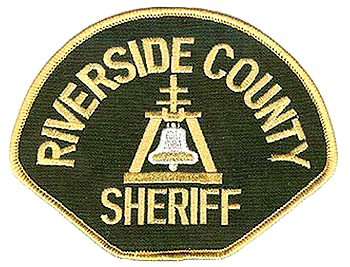 The Riverside County Sheriff’s Department is now the fourth largest sheriffs department in California.